How many women of New Zealand science, living or deceased, can you name? Before I started working at the Royal Society running the Science Media Centre, I’d have to admit that it was an embarrassingly small number on either count. Now, I’m privileged to have met hundreds of women in science and to have learned about numerous other women who were pioneers of science in New Zealand. The profile of women in science – via the peer-reviewed literature, media, public events and participatory science, is greater than its ever been. But it is no surprise that the history of science in New Zealand is dominated by white men. Rutherford, MacDiarmid, Wilkins are our three revered Nobel Laureates, but from Hector to Marsden to Callaghan, our historical narrative is mainly about great men who did great things. We also have great women who did great things in science, but the likes of Mary Sutherland, Kathleen Curtis and even Beatrice Tinsley get less attention than they deserve. The Google Trends graph below shows the relative search queries for three New Zealand scientists – Ernest Rutherford (red), James Hector (yellow) and Beatrice Tinsley (blue). Clearly Rutherford is being googled a lot due to the global profile of the scientist and his work. James Hector and Beatrice Tinsley are less well known. It is to be expected that this would be reflected in search engine queries and that is unlikely to change. What we can do is make sure that when people google women in New Zealand science, among the top results are well-written, accurate and well-developed articles on those scientists. The key platform enabling this is Wikipedia. 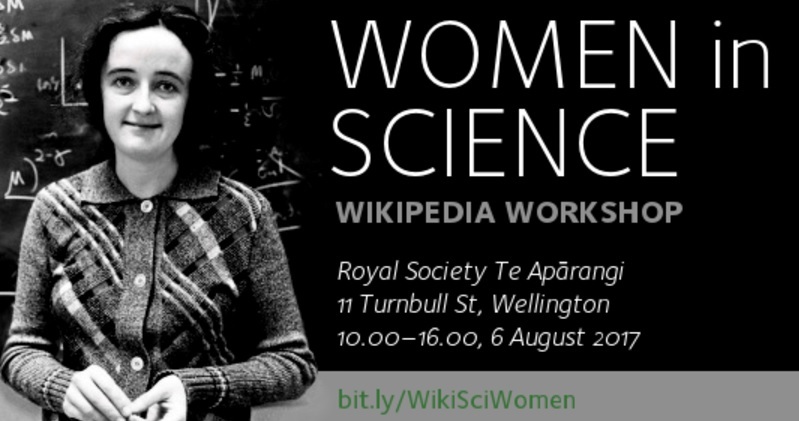 The likes of Beatrice Tinsley have pretty well developed Wikipedia articles already and efforts have been made to create a list of New Zealand women in science. Efforts are now underway to boost the number of Wikipedia articles about New Zealand women in science and to flesh out those articles that are currently bare bones. “Wikipedia is where everybody starts; it’s where Google sends you, it’s the eternally-rewritten first draft of history. If you’re doing science outreach anywhere other than Wikipedia, you’re reaching a smaller audience. And Wikipedia can be edited by anyone, for free; it seems crazy that organisations spend a lot of time creating websites to share information when this perfectly-good one already exists. “People get worried by the idea that anyone can edit Wikipedia; it’s one of the few things that doesn’t work in theory, only in practice. It’s not perfect, by any means: coverage is heavily biased towards the sorts of things volunteer editors want to write about – and those editors tend to be white, male, and American. The solution to this is not to lambast Wikipedia, it’s to fix it. And we do that by empowering women, indigenous people, non-Americans, and other marginalised groups with the tools and knowledge to make sure their stories get told properly. 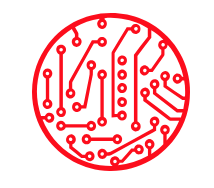 All of the details for the day, which will be held at the Royal Society of New Zealand headquarters in Wellington as well as online, are available, appropriately, on this Wikipedia page. I’ll be there in Wellington to learn the ins and outs of Wikipedia writing and editing. There’ll be food and childcare available. Hope to see some of you there – or online. For anyone wondering why a chap is running a women-in-science workshop, I’d like to mention my co-organiser (just like the Green party) Siobhan Leachman, a very experienced Wikipedia editor and Smithsonian volunteer. We have mostly women enrolled so far, but men are very welcome!